It was early in the morning of March 16 as the light began to change in the sky preparing to greet the sun at seven and the full moon at nine. I walked out into the cool bright air and down to the edge of the creek where Alder holds the land. 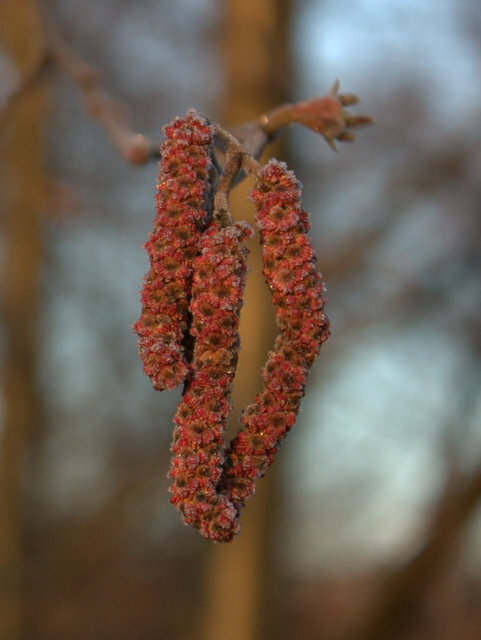 I found Alder rich with plump red catkins ready to release their yellow pollen. 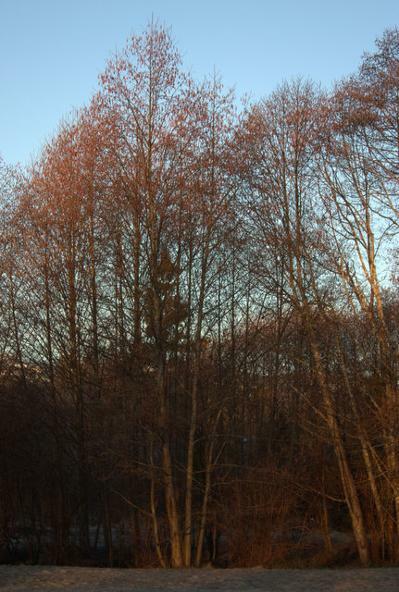 All around the light of the rising sun caught the Alder bathing every tree with a soft red glow. 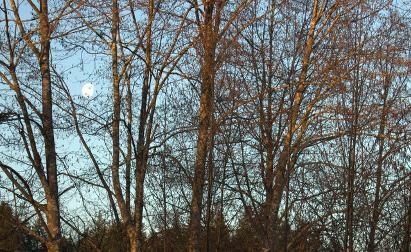 There hanging in the pale blue of the dawn sky was the moon moving towards fullness. The sap moon aptly named to mark this time of year when the trees awake to the sap running in their limbs, their quickening life force seeking fertile renewal. I stood in the stillness of the morning meadow, gazing with wonder at the exquisite perfection of nature's design. Alder, tall and full, branches reaching for the rising sun, new life surging through every living cell in their woody bones. I breathed in the cool air, inhaling the soft sweet scents of spring's beginning. I tuned my ears to the morning chorus sung out into the silence by the songbirds who feed their young from the seeds of the Alder trees. I felt the quickening in me, the excitement of spring, the swelling of the bud, the promise of the blossom, the anticipation of the fruiting of the year.